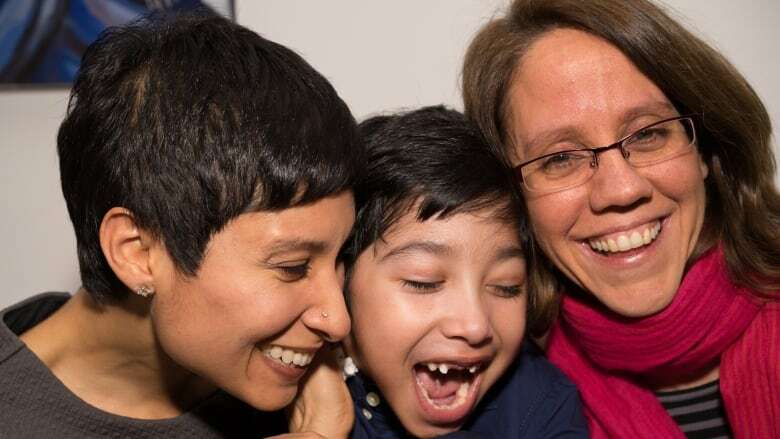 Two moms have forced Canada to re-examine the definition of family and who can be parents. Natasha and Lynda are colleagues, platonic friends, neighbours and legal parents to the same little boy. This is the story of Elaan and his two "mommas." They're best friends, colleagues and neighbours. 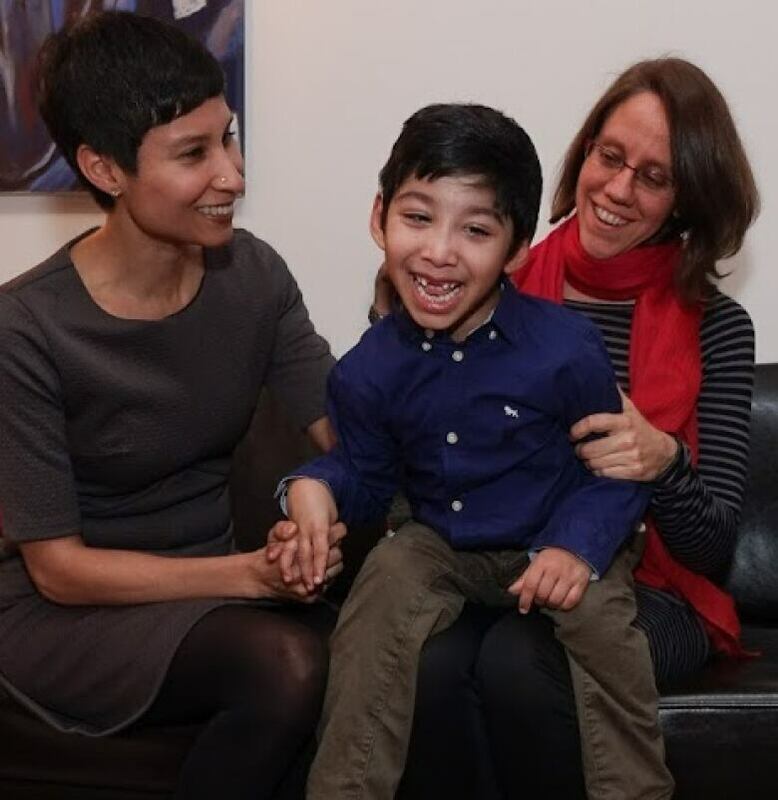 But Natasha Bakht and Lynda Collins aren't lovers, so according to law, they couldn't both be mothers to the same profoundly disabled boy. They challenged that premise, and late, last year the women officially became "co-mommas." The victory was a legal first in Ontario, but it may also be the last. Lynda Collins, 42, and Natasha Bakht, 44, are both lawyers and professors at the University of Ottawa. Bakht, who became a single mom by choice, gave birth to Elaan in February 2010. Collins was there as a supporter and coach. "It was one of the best days of my life," remembers Collins. They soon realized that Elaan wasn't developing as he should. At around six-months-old, a Toronto neurologist diagnosed Elaan with periventricular leukomalacia — portions of Elaan's brain were dead. "He described it to us as being like a Swiss cheese brain. He said, 'You're looking at very significant disabilities going forward,'" Collins recalls. "I remember, as we left that neurologist appointment Natasha said to me, 'What kind of life is he going to have?' And I said, 'He's going to have a wonderful life. We're going to make sure of that.'" 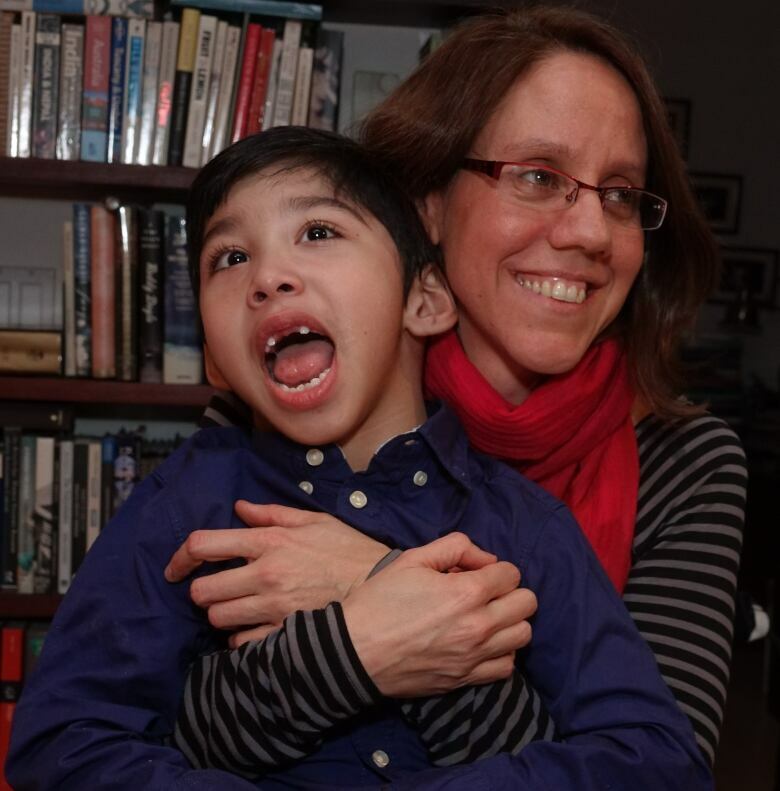 Now seven, Elaan has cerebral palsy, asthma and epilepsy. He doesn't speak and he is visually impaired, but his mothers say his cognition is quite good. From the time of his birth, Collins remained close, eventually selling her house and moving into the condo unit directly above Bakht's. She became a caregiver to Elaan and Bakht's closest confidant, accompanying them to appointments and on trips around the world. Collins had become Elaan's second momma. "We decided to formalize the relationship," says Bakht. But under the law, since they were friends and not "conjugal" partners, Collins could not legally adopt Elaan. They hired a lawyer and made submissions to the court. In January, a judge signed the order, and Elaan's updated birth certificate has both his mothers' names on it. "I'm not a single mom anymore. I have a partner in this journey," Bakht smiles. Also in January, the All Families Are Equal Act came into force in Ontario. It would alter the legal precedent set by Collins and Bakht. Under this new law, Ontarians who have used reproductive services such as sperm donation or surrogacy no longer have to apply to the court to be confirmed a parent. But co-parents need to have entered into a written agreement before conception. Bakht and Collins didn't have such an agreement, so the new law would have excluded them. In the future, would-be co-parents in a similar situation will have to challenge the constitutionality of Ontario's adoption law. "I'm hopeful that there's more space in the new legislation than we think," Collins says. Bakht and Collins plan to write a legal article about their own victory. At home, the co-mommas are looking toward their family's future, however daunting that may be. "I always wanted to be a parent and I'm really grateful for Natasha that she gave me that. She didn't have to do that … There is no condition on this." The documentary Elaan's two mommas was produced by the CBC's Julie Ireton and The Current's documentary editor Josh Bloch.